Looking to hire Aaron Tippin for a private party, fundraiser, gala, public concert, wedding, college, fair or festival worldwide? BookingEntertainment.com makes it easy to get available dates, pricing and fees for booking Aaron Tippin. Fill out an entertainment request form and a Aaron Tippin booking agent who can assist you in booking Aaron Tippin will get back to you to discuss booking Aaron Tippin for your event. Aaron Tippin was part of the commercial explosion of new traditionalist country in the early '90s, making his name with a mixture of macho, rowdy honky tonkers, sentimental ballads, and patriotic working-man's anthems. Tippin was born in Pensacola, FL, in 1958 and grew up mostly on a family farm near Greer, SC, where he first started singing to pass the time while doing chores. He started playing guitar at age ten but also inherited a love of flying from his father, who'd worked as a pilot prior to becoming a farmer. Tippin himself earned his pilot's license at 15 and began flying professionally before the age of 20. He was studying to become a commercial airline pilot when the industry took a major downturn, which convinced him to return to music. He played the local honky tonk circuit and worked on his songwriting while holding a series of blue-collar day jobs. Unfortunately, his marriage broke up, and with nothing to lose, he finally moved to Nashville in 1986. He landed a job as a staff songwriter at the legendary Acuff-Rose firm, where his compositions were recorded by the likes of Charley Pride, Mark Collie, and David Ball, among others. In 1990, his demo tape landed him a contract with RCA. Tippin's debut album, You've Got to Stand for Something, was released in 1991; its title cut became a Top Ten smash in the wake of the Persian Gulf War, and Tippin was invited along on Bob Hope's USO tour. His second album, 1992's Read Between the Lines, was a million-selling Top Ten smash, producing three Top Ten singles in "I Wouldn't Have It Any Other Way," "My Blue Angel," and his first number one, "There Ain't Nothing Wrong With the Radio." 1993's The Call of the Wild underlined Tippin's penchant for rabble-rousing anthems like "Honky Tonk Superman," the Top Ten "Working Man's Ph.D.," and the Top 20 title cut. The following year's Lookin' Back at Myself was less successful, but 1995's Tool Box returned him to the top of the singles charts with "That's as Close as I'll Get to Loving You." Tippin also remarried that year. 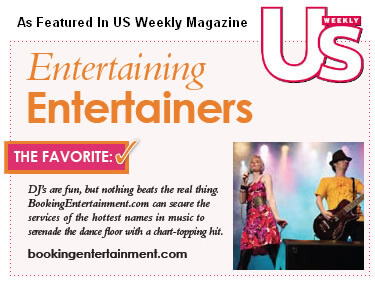 "I Wouldn't Have It Any Other Way"
The booking agents at Booking Entertainment have helped clients book big name entertainers like Aaron Tippin for private parties, corporate events and public shows around the world for over 20 years. Our agents will be happy to assist you with any of your big name entertainment buying needs. All you need to do is fill out an entertainment request form or call our office at (212) 645-0555, and one of our entertainment agents will help you get pricing information and availabilities for Aaron Tippin or any other A-list entertainer for your next event. How Much Does It Cost To Book Aaron Tippin? Looking for Aaron Tippin booking fee and pricing? When you are booking an act like Aaron Tippin, many factors determine the final price, including the artist's touring schedule and other shows they may have in your area. Fill out an entertainment request form or call our offices at (212) 645-0555 and one of our booking agents will get you a pricing fee and availability for your date and assist you in booking Aaron Tippin or a different big name act for your next event. How Do I Hire Aaron Tippin For A Private Party? The booking agents at Booking Entertainment have been booking and producing big name acts for private parties worldwide for almost 20 years. Whether you are looking to book Aaron Tippin for a birthday party, Bar Mitzvah, Bat Mitzvah, wedding or anniversary party, your assigned Booking Entertainment agent will be happy to help you to book Aaron Tippin and take care of everything to make sure the show is executed flawlessly. Fill out an entertainment request form or call our office at (212) 645-0555 and one of our booking agents will assist you in hiring Aaron Tippin for a private event. How Do I Book Aaron Tippin For A Fundraiser or Gala? We have a number of clients that are looking to book Aaron Tippin or other big name acts for fundraisers and galas. Your assigned Booking Entertainment agent will be happy to help you to book Aaron Tippin and take care of everything to make sure the show is executed flawlessly. Fill out an entertainment request form or call our office at (212) 645-0555 and one of our agents will assist you to book Aaron Tippin or another celebrity talent for your next fundraising or gala event. How Do I Book Aaron Tippin To Perform At My Wedding? You might ask yourself, "Can I get Aaron Tippin to sing at my wedding?" We have a number of clients that are looking to book Aaron Tippin or other big name acts for weddings and wedding ceremonies. Your assigned BookingEntertainment.com agent will be happy to assist you in hiring Aaron Tippin to perform and make sure your wedding entertainment is executed flawlessly. Fill out an entertainment request form or call our office at (212) 645-0555 and one of our agents will get you a pricing fee and availability for your date. Booking Entertainment will assist you to book Aaron Tippin or another celebrity talent for your wedding. Who Is The Agent For Aaron Tippin? The agents at Booking Entertainment have booked big name acts like Aaron Tippin for clients around the world for almost 20 years. Although we are not an exclusive agency, we will assist you in submitting your offer to the appropriate company for consideration. When the offer comes from us on your behalf, you benefit from our reputation and relationships. Fill out an entertainment request form or call our office at (212) 645-0555 and one of our agents will assist you to book Aaron Tippin for your next public, private or corporate event. How Do I Book Aaron Tippin For A Corporate Event? Booking big name entertainment corporate events is a great way to thank your employees and clients, as well as a fantastic way to promote your company's image. The booking agents at Booking Entertainment have been helping clients book big name acts like Aaron Tippin for corporate events worldwide for almost 20 years. Whether you are looking to book Aaron Tippin at a trade show or an employee appreciation event, your assigned Booking Entertainment agent will be happy to help you to book Aaron Tippin and help to make sure that every aspect of the show is taken care of to make sure the show is executed flawlessly. Fill out an entertainment request form or call our office at (212) 645-0555 and one of our entertainment agents will assist you to get pricing and availability to have Aaron Tippin or another headline talent perform at your next corporate event.